Fall is here and aside from all the things we love like the cool breeze, leaves changing colors, and candles, it comes with one thing we all dread: Flu season. Don’t let the flu ruin your fall season, use these 5 tips to prevent you and your loved ones from getting sick. Get vaccinated with the Flu shot. The flu vaccine is one effective way to prevent yourself from getting sick. 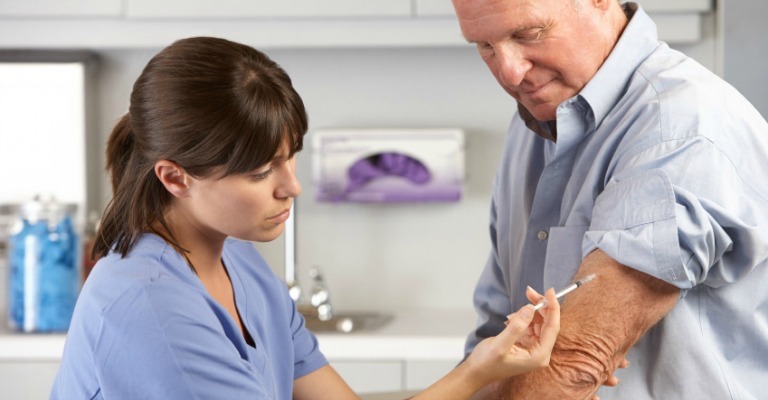 The Center for Disease Control recommends getting vaccinated early in the season, because it can take up to about two weeks for your body to fully become immune. Wash your hands often and always. The next best preventative after the vaccine, is to wash your hands all throughout the day with warm water and your favorite fall-smelling soap. The longer and more often you wash, the better effective it becomes. Avoid putting your hands by your face. When touching your eyes, mouth, or even nose, it can spread germs into your respiratory system- making the flu easier to catch. So if you must, try using a tissue or wash your hands before you do. Try to avoid crowded public places. Now we’re not saying isolate yourself- still go out and spend time with your friends. If you do decide to go to crowded places, just make sure you carry hand sanitizer and avoid super close contact with people. Avoid touching doorknobs, countertops, and other surfaces that may contain lots of germs. Increase your Vitamin C intake. Vitamin C is a healthy antioxidant, and can help boost your immune system by reducing cold and flu symptoms. There are many ways you can take Vitamin C and prevent yourself from catching that flu! For more information, visit us at Freedom Home Care. We are proudly serving the Chicagoland area with our many caregiving services from Alzheimer’s care nearby to Newborn care. Visit us online or give us a call at (877) 262-1223 to find out more about our services we offer.